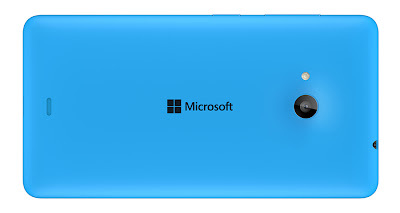 Microsoft Launched its first 'Lumia' mobile device in the market. It is called 'Microsoft Lumia 535' this is the first mobile without the brand name of NOKIA. We all know that Microsoft purchased Nokia handset category company with $720 crore dollars. Now this mobile comes with Microsoft logo not with the Nokia logo. The whole world knows how Nokia changed the mobile technology and its legacy, it really connected the people all over the world. Though, Nokia not sold Here+ technology to Microsoft may be we will see the Nokia legacy with its new innovations again. Now its Microsoft time and how the people are going to receive it let us see. Specifications : Microsoft Lumia 535, 5" Display, windows 8.1 operating system, 1.2 GHz quad core processor, 1 GB RAM, 8 GB internal storage, 15 GB One Drive storage available and expandable upto 128 GB, 5 MP rear camera & 5 MP front camera. Tags:- new lumia 535, lumia 535, nokia lumia 535, Microsoft lumia 535, lumia 535 specifications, fetures of lumia 535, new Microsoft mobile, lumia 535 phone.